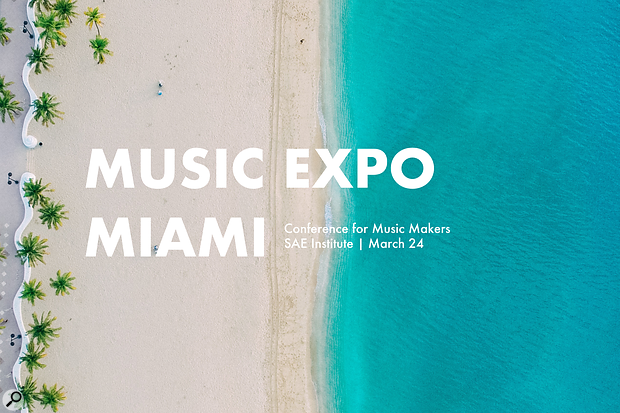 Music Expo returned to SAE Institute Miami on March 24th for a day packed with workshops, lectures, studio sessions, discussions and product demos. With such a huge amount of recording talent at the event, attendees had a lot to take in. Gary Noble at Music Expo Miami 2018Among the highlights were a well-received keynote session with Gary Noble (Amy Winehouse, Faith Evans), where the Grammy award-winning engineer/producer shared techniques he developed using large consoles and outboard to in-the-box production, applicable to DAW for any independent artists. Music Expo Miami also played host to a Beat Battle which allowed attendees to submit their beats for a chance to win an Eventide Mixing Link, a one-year subscription to ill Factor’s Beat Academy, and a subscription to Sound On Sound magazine. Pictured (L-R): SAE Student Representative, Valentina Alvarez, Natalia Ramirez, Maria Elisa Ayerbe.The Honoring Women in Technology and Audio panel aimed to create awareness about women in technology and audio. 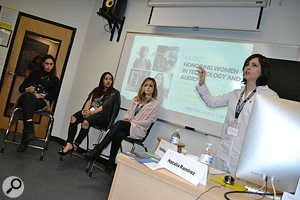 The event encouraged aspiring female producers and engineers to attend and engage in discussion about women in the field and challenges they face in a male-dominated industry. Speakers included; Natalia Ramirez (Ricky Martin), Maria Elisa Ayerbe (JLo) and Valentina Alvarez (Daddy Yankee, Luis Fonsi). Meanwhile, Soundgirls.org also had a presence at Music Expo Miami, joining the AES, Beat Academy, Nomadic Collaborative and Wynwood’s Finest as one of the event’s community partners. Bitstream implement a decentralised play/stop workflow that allows for more fluid collaboration between multiple users.The session entitled '1:1 with the Pros', which featured Ill Factor, Loren Weisman, Maria Elisa Ayerbe, and Kevin Eiroa, offered attendees the opportunity to ask their own questions, while mentors provided feedback. The segment was such a hit, that the class time was extended and then spilt out into the hallways of SAE afterwards. Attendees had the chance to see how producer Ariel Lopez records a live band in 'Recording A Live Band’. Five-piece progressive urban music group, Big Sounds Better, was on hand to perform live in the studio while Lopez placed mics, produced, set controls and recorded tracks. 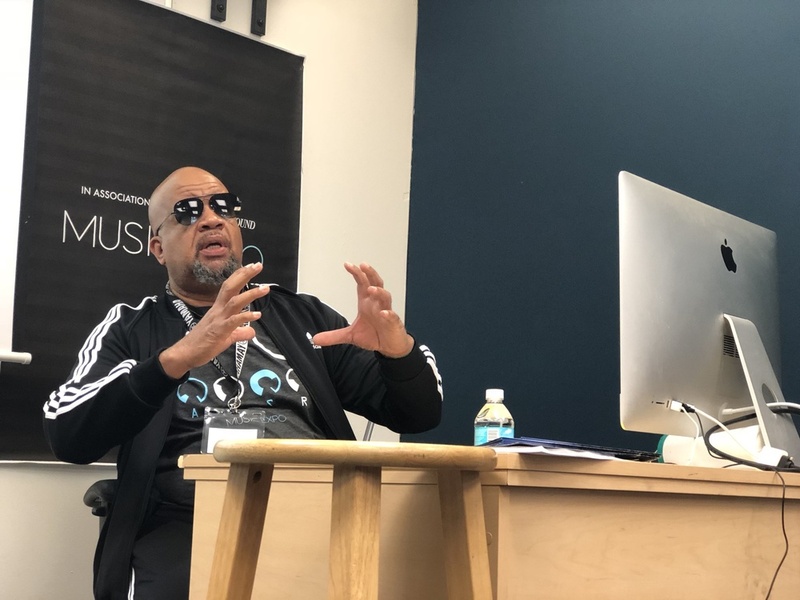 A valuable learning experience for all, the session was captured in a pop-up studio built in collaboration with RME Audio, Eventide and other manufacturers demoing at Music Expo. 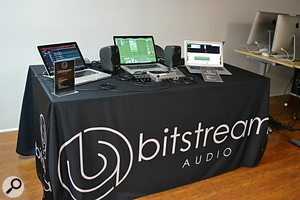 And that brings us neatly to the expo itself which saw big, established brands such as Genelec, RME, Eventide, Yamaha, Prism Sound and IK Multimedia demoing gear as well as Earthquaker Devices and Sensel — a new company who offer the customizable Morph tablet with several overlay options for everything from audio mastering to video editing and gaming. 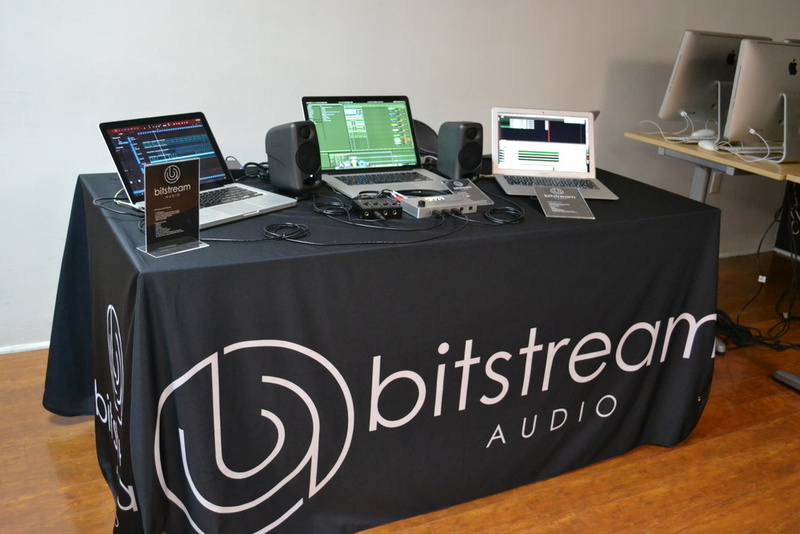 Another interesting, but lesser-known brand exhibiting was Bitstream, who solve a unique problem in digital music collaboration. They help producers collaborate in a synchronized fashion regardless of DAW preference. By implementing a decentralized play/stop workflow, the idea is that this allows for more fluid collaboration between multiple users. If you missed out this time, then fear not! Music Expo will be returning to Boston on June 9. Pre-registration for this event has already begun. Music Expo will also visit Nashville for the first time on September 22, and return to its home ground of San Francisco November 10.